Norfolk in summer conjures up pictures of the incredible beaches, festivals and carnivals in full flow, seals basking the sun, and fish and chips on the quaysides! What better place to be than on one of the many Norfolk beaches during the summer months. 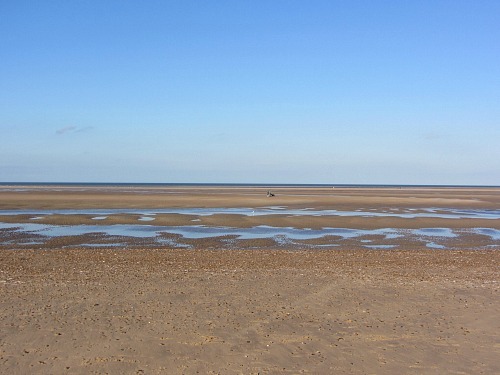 The tides on some of the North Norfolk beaches go out for miles, giving you ample space to enjoy the vast skies and endless swathes of sandy beaches. On the east coast the tide doesn’t go out quite so far, but they are still wonderful beaches. If you’re trying to think of ideas with your children for things to do in Norfolk in summer, I know what it’s like! You don’t always want to spend money on the attractions. Sometimes you can’t get away without handing over the cash, but there are quite a few things you can do for free. Here I’ve listed some ideas that do require spending, others are free (or maybe a nominal car parking charge). Well I have to start with our beaches. These are fantastic, and of course summer is always the time to enjoy them at their best. 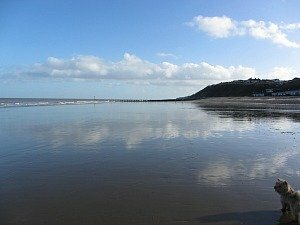 We are blessed in Norfolk to have so many wonderful beaches spanning all the way from Snettisham in the west to Gorleston in the east and each one has it’s own character. You can read about each one here on the Norfolk Beaches pages. Why not explore some of the beaches you don’t already know? 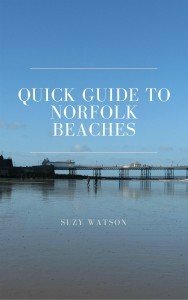 And if you’re not sure which beach will suit you, why not take a look at the Norfolk Beaches Handbook which has all the accessible beaches in it, detailing which are good for walks, dog friendly or excellent for children, whether sand or shingles or good for wildlife, or just great for building sandcastles. 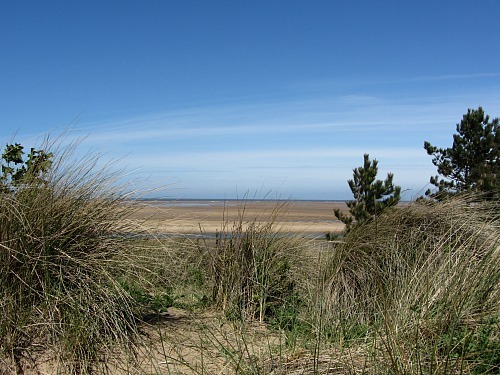 When you're visiting Norfolk in summer with children, why not get them to choose a beach they want to visit each day?! Even if it’s not sunny, you could visit just for a walk. 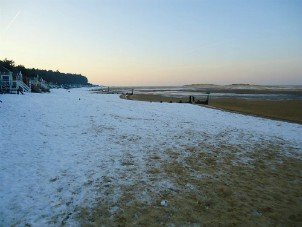 More on Norfolk Beaches here. 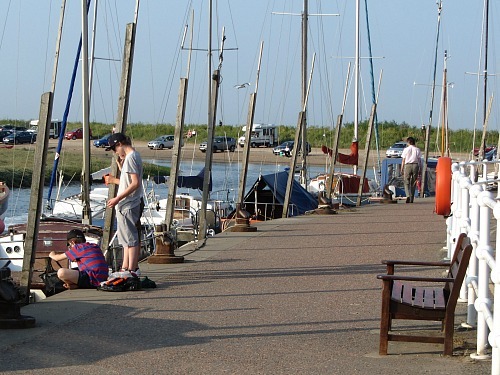 One of the most popular activities to do in Norfolk in summer is to go crabbing. Whoever you go with, you’ll always enjoy this fun activity. Buy yourself some bacon and a crabbing line and net (but I always think it’s more fun to see if you can get the crab in the bucket without a net) and away you go. The best time to catch crabs is on an incoming tide as that’s when they’re feeding. and I’m reliably informed that the little bridge on Stiffkey Marshes is also quite good! 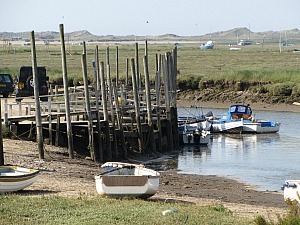 and finally the jetty at Burnham Overy Staithe. You’ll love it and of course being outside means you’ll be making good old conversation! If you know of any other great places, please let us know here. Now I know not everyone lights up at the idea of visiting a stately home, but believe me, the ones in Norfolk are fantastic. 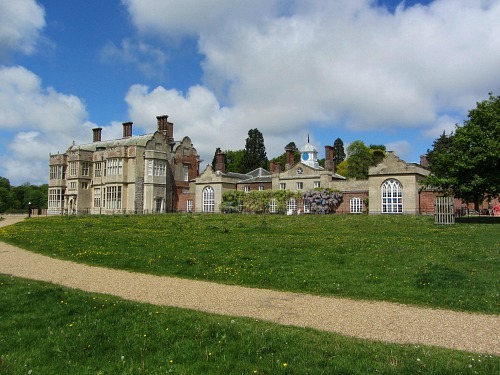 And again, if you’ve got children, many of the houses, particularly the National Trust properties, have activities specifically designed for children in mind with trails, quizzies and giant board games (not always just for children though!). Yes, you may not want to visit the inside of the house with the children, but the grounds are worth the visit in themselves. Houses such as Sandringham House have playgrounds where you can watch the children play and many of the grounds are also dog friendly (not the playground but the woods). 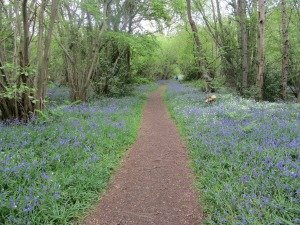 Visit the woods at Sandringham and Felbrigg Hall for some really lovely walks for all the family. At Felbrigg Hall you can wander down to the lake, stop off in the church and see the box pews (extraordinary and I had never seen them before) and walk past an old ice house – so much to see and take in. Holkham Hall is another amazing stately home in Norfolk but again, if you have young children you may not want to take them into the house but do wander around the grounds. It has a large lake where you can go zorbing or you can hire boats, canoes and kayaks (possibly a little pricey in my opinion, but you only do it once I suppose), and spend the day enjoying yourselves in the grounds. You could even hire a cycle and follow some of the lovely cycle paths or just let your children enjoy the lovely playground. If you do like gardens, then the walled garden at Felbrigg Hall is beautiful, the Sandringham grounds are so pretty in Spring with the rhododendrons, and Blickling Hall gardens are immaculate; makes you want to go home and sort your own garden out! 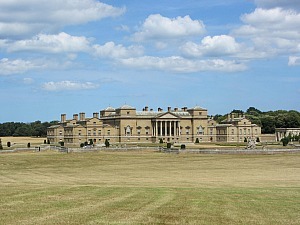 You can read more about each Norfolk stately homes here. 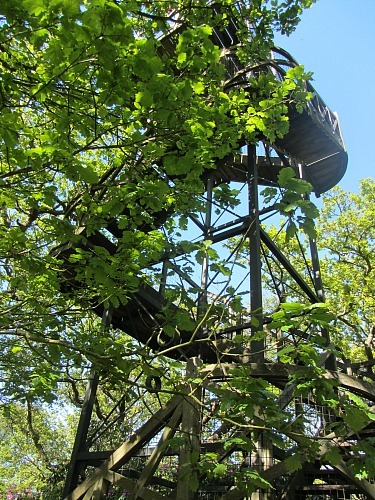 Although Spring is the most beautiful time to visit this park with all the rhododendrons and azaeleas out in full bloom, if you’re visiting Norfolk in the summer then Sheringham Park becomes a day out with your children or anyone else. You can easily spend all day here. 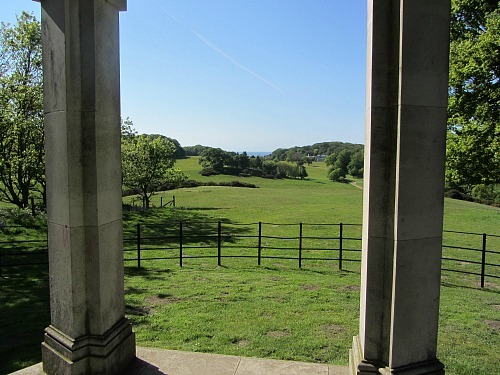 As you’ll see in my Norfolk in Spring page – children will absolutely love the walk and climb up to the Gazebo for some stunning views, and then you can still tire them out by taking them up to the temple, again more amazing views. Follow the colour coded walks and bring a picnic. 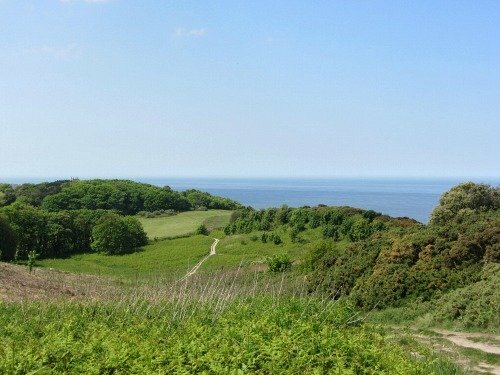 Sheringham Park is owned by the National Trust. You almost can’t come to Norfolk in summer without seeing the seals! I lived here for a long time without taking a visit to see them, and I had no idea what I had been missing – it’s an incredibly exciting outing (but dress up warm even on the sunny days). 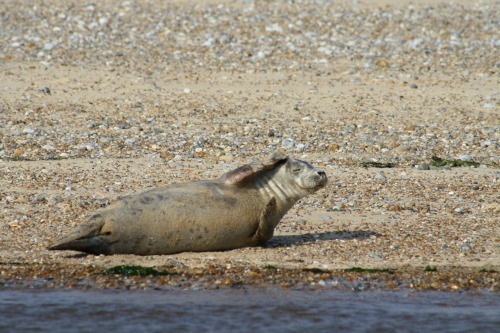 Norfolk is one of the best places in the UK to see Common and Grey seals and there is no better place to see them in the summer than at Blakeney Point. But in order to get there you need to catch a boat which takes you along the creek and then around the spit where the seals will be languishing in the sun. It won’t take all day though, but you have to go with the tide times so it changes from day to day. If you’re lucky, you can get the boat to drop you off and you’ll be able to spend an hour/hour and a half on Blakeney Point before you have to be picked up again. You’re not always able to do this though. You can catch the ferries from either Blakeney Harbour or Morston Quay but you need to buy your tickets in advance. You can read more about the seals in the summer here. Honestly you can spend all day here so if you’re looking for something to do for a day, then take the family to Banham Zoo. This is in the heart of Norfolk, away from the coast, but is a really good zoo and the children will love it. It’s a conservation zoo so has many unusual animals but they are all so well looked after, the staff are very friendly and knowledgeable and very happy to share that knowledge with you. There are giraffes and monkeys, tigers and zebras, kangaroos and emus, birds of prey and penguins, owls and meerkats and so many more animals I lost count! 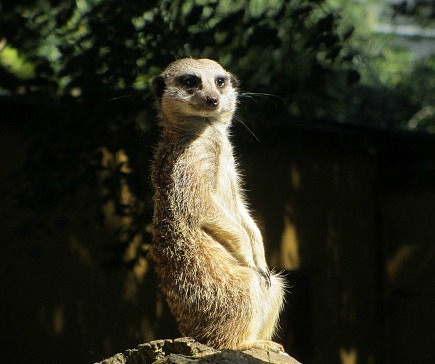 Find out what else you can see at Banham Zoo here. 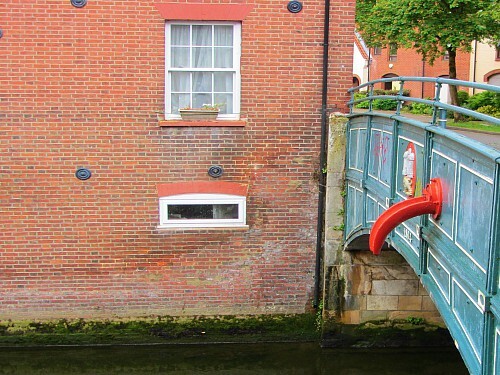 Norwich is steeped in history, and an excellent way to discover this is by taking a guided walking tour which the Tourist Information Centre organise during the summer months. They put on all sorts of walks, lasting about 2 hours and take you around the cobbled streets, narrow alleys and past ancient churches. You can read more about one of the walks called "Passages Through The Past". It was fascinating and very interesting. The children are bored and it isn’t quite “sitting in the sun on the beach” weather. 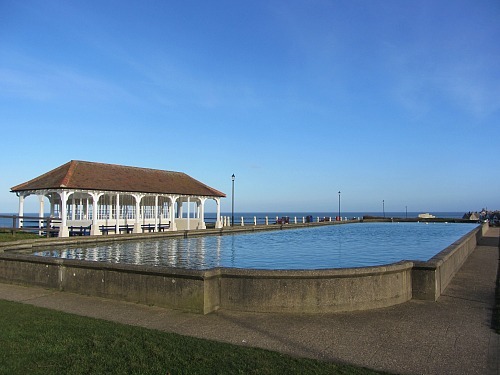 Why not go up to the top of the promenade in Sheringham and sail a model boat on the boating pond? Whilst the children have fun, you can shelter in the Victorian style shelters overlooking the sea maybe having stopped off to buy a coffee and cake! The Broads covers a huge area of intertwined waterways in the east of Norfolk, and you may conjure up a picture of chugging boats along some of the many rivers on The Broads with very busy towns full of people and traffic. Well if you’re staying and visiting in this area, then let me assure you that it really is a very special place to experience. Living in the west of Norfolk, I don’t venture over there too much but I have walked The Wherryman’s Way which follows the River Yare, one of the Broads rivers, from Norwich to Gt Yarmouth, and at each turn of the path I was taken aback by how beautiful it is from a walker’s point of view. 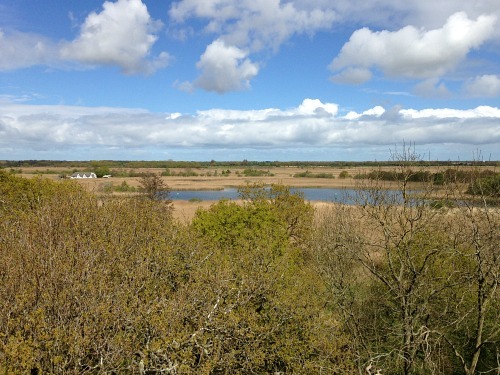 Two of the nature reserves in this part of Norfolk are Ranworth and Hickling Broad. 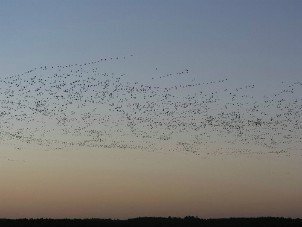 Both managed by Norfolk Wildlife Trust, these reserves are excellent for exploring nature at its best and getting away from the more touristy parts of the Broads. 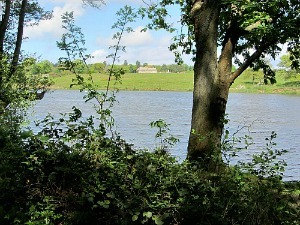 Peace and tranquillity abound. Ranworth Broad has a fantastic floating visitor centre, 750m of boardwalk along with reedbeds, woodland and pond dipping. This reserve is best visited in the Spring and Summer. What you can do is take a serene and peaceful boat trip with one of the experienced guides and really see what The Broads is like from water level. This is exploring the wildlife from a different angle. Hickling Broad is the other nature reserve in this area. This is the largest of the Broads and can be visited all year round. Again you can take a fantastic boat trip to really get an idea of what the broad is really like. This is something that will stay with you and your children for a long time – it’s Swallows and Amazons coming alive! You can read more about Hickling Broad and the boat trip here. When the weather isn’t so nice and you can’t bask in the sun, you always need some alternative to keep you active. You may also need a bribe plus a treat for the children?! I know what it’s like! Luckily in North Norfolk there is a very good coasthopper bus which stops at all the villages along the coast. This means that you can catch the bus from where you are staying to a point along the coast and then walk back. The bus is always a bit of an excitement for children so why not pick your spot, walk about 3 miles and finish off with some fish and chips, or a pub lunch as a treat! This is a great day out on a steam train because if you buy a Day Rover ticket you can get off at every stop. So this can take up a whole day. Disembark at Weybourne and walk up to Sheringham Park, disembark at Holt and catch the bus (summer times) into Holt and spend the day wandering around the Georgian town, or spend some time in Sheringham. 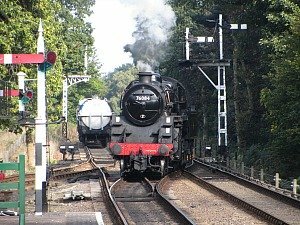 See how you can enjoy your day on the Poppy Line North Norfolk Railway here. There are two fantastic castle ruins in Norfolk where you could spend a morning or afternoon perhaps with a picnic. If you have children, they’ll love playing around the ruins, running up onto the old moat walls and just enjoying being free. One is just outside King’s Lynn in Castle Rising, and the other just outside Swaffham, Castle Acre Castle in Castle Acre. Read more on the castle ruins in Norfolk here.